There will be a whimsical air as you float down the aisle in this dreamy cathedral veil! 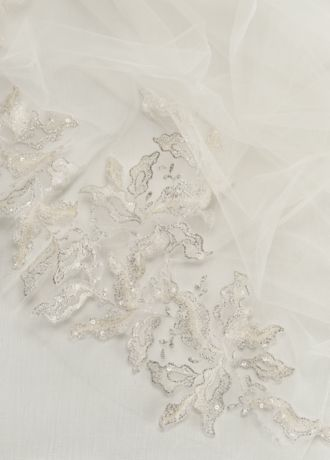 Long cascading champagne tulle with bold glittering champagne appliques at the edge. 1 tier cathedral veil measures 90" long.